What We Do Am I Eligible for Services? We’re here to help. Join the TFC family – and let’s work together! Please note, we ONLY provide services to residents of New York City. Provided in English and Spanish. We also have staff fluent in Korean, French Creole, French, and American Sign Language. Offered in homes, hospitals, schools and other off-site locations, as needed. Any individual who is living with HIV, cancer or serious illness. A caregiver who is caring for minor children, not their own, or a disabled adult. Families with children at-risk for out-of-home placement (Primarily ACS referred families). We provide services to residents of all five boroughs of New York City. We are NOT able to serve residents outside of New York City. Are there exceptions to these eligibility criteria? We also serve families, who don’t exactly fit the above criteria, when circumstances indicate that they would benefit from our services. Please contact us for more information at 1-800-219-4522 ext. 113. If we can’t provide the services you need, our informed and connected staff will refer you to an organization that can. Is there an income cap above which you don’t accept families for services? No. 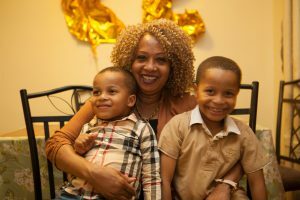 Though we serve families of all income levels, the majority of our clients live below the poverty line. Does a client have to have Medicaid or some other type of insurance? For services through the Irene LeeKong Health & Wellness Institute, individuals and families must have insurance coverage. Additionally, for our legal services, clients may be evaluated for the ability to pay a modest fee. Fees are based on household income and determined on a sliding scale. Do you serve clients with many types of illness? Yes. We serve clients and families affected by many different kinds of illnesses and health conditions.